Zen Origami is here to provide 20 beautiful origami projects to focus and relax your anxious mind on after busy days at work, school, home, and anywhere in-between. There is a meditative aspect to craft projects. From doodling complex patterns with Zentangles, to coloring-in intricate design pages, to knitting geometric and elaborate designs, or scraping away at scratch pages, super-involved crafts are being embraced everywhere for peace of mind they offer. Zen Origami brings these lessons to the art of origami. The repetitive and delicate folds involved in creating modular origami forms are perfect for the mindful movement. These 20 beautiful, modular origami projects take time, steadiness of hand, and immersion of thought to complete. You'll love diving into contemplative sessions with each project, and be feel the rewards that manifest when you craft these beautiful pieces of art. 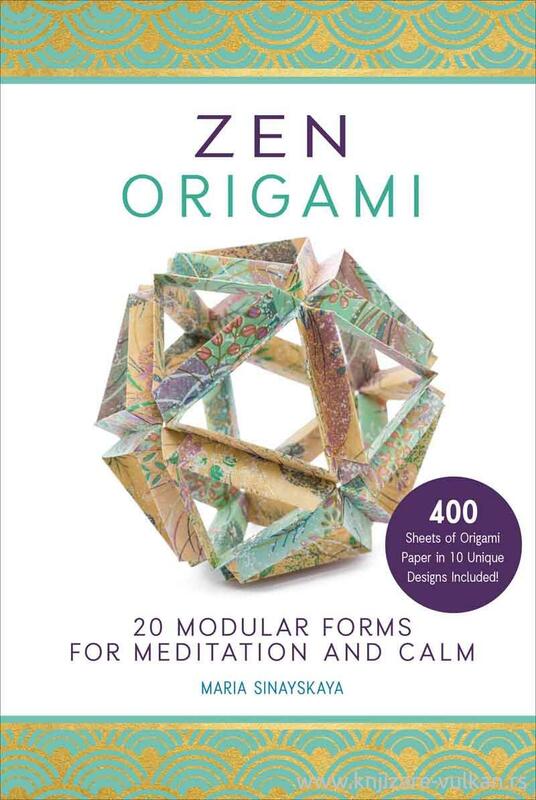 Zen Origami comes with 400 sheets of origami paper, so you can make more than a dozen modular creations.